Welcome to Top Gear Tyres Liverpool! Top Gear Tyres Liverpool is a team of experts dedicated to our customers and their cars. We are one of the leading suppliers of quality and air pressure tested Part Worn Tyres in the Liverpool area. We have a wide stocks of all types and brands of tyres plus we provide balancing services for all car tyres in Liverpool. We use the latest technology ensuring that your vehicle runs as smoothly as possible. 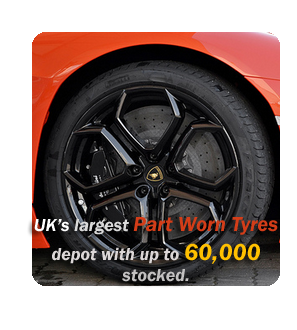 We stock a wide range of quality Part Worn Tyres, 4×4 Tyres, High Performance Tyres and Run Flat Tyres from all major brands such as Continental, Michelin, Pirelli, Dunlop, Bridgestone, Goodyear etc.